Your body uses a process called acclimation to filter out its own scents so you can use your nose to detect outside smells. This means your nose is used to whatever odor is emitting from your mouth. Even if you cup your hand and breathe into it, you probably won’t detect foul aromas. So, how can you tell if you have halitosis? The easiest test for determining if your breath is rank is to ask someone. Friends or family members will probably be more than happy to render an honest opinion. Another way to test for bad breath is to wipe your tongue with a cotton ball and give it a whiff. Or go to a mirror, stick out your tongue, and see if it looks whitish. Ew! That’s accumulated bacteria, which produces the sulfur compounds that create halitosis. The most common reason people have bad breath is decaying food particles and bacterial growth in the mouth, especially on the tongue. If you have poor oral hygiene habits, the accumulation of food and bacteria will make your breath smell bad. There are other reasons for bad breath. Gum disease and cavities can produce halitosis, and so can systemic illnesses such as diabetes, acid reflux (GERD), and sinus infections. In fact, if you have chronic bad breath that doesn’t respond to any of your freshening and cleansing attempts—you may have a larger health concern, and should make an appointment with Dr. Yankowskas. Rinse with an antibacterial mouthwash. Dr. Yankowskas may have suggestions for the best over-the-counter mouthwashes, and may also give you a prescription oral rinse. Make sure you have a clean healthy mouth and avoid bad breath. Schedule an appointment today with Dr. Yankowskas of Tyngsboro Cosmetic Dentistry in Tyngsboro, MA at 978-649-7773. Visit his website at www.tyngsborocosmeticdentist.com. A root canal in your tooth can become infected due to a cavity or fracture that allows in bacteria. When a root canal becomes infected it can die. 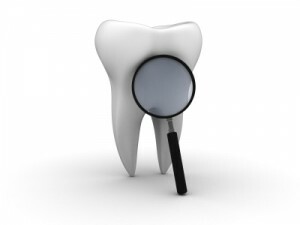 At this point you will begin to feel pain and pressure in and around the infected tooth. This is your first sign that you will need root canal therapy. Without treatment the infection spreads and could lead to tooth loss. When the damaged pulp in the root canal of the tooth is cleaned out of all the diseased pulp and the canal is reshaped. Next, the canal is filled with material to prevent re-contamination of the tooth. Lastly, the tooth is permanently sealed with a post or crown. A root canal is a relatively simple procedure with little or no discomfort involving one to three visits. Best of all, it can save your tooth and your smile! If you are experiencing tooth pain and feel you might have an infected root canal, contact Tyngsboro Cosmetic Dentistry 978-649-7773. Visit their website at www.tyngsborocosmeticdentist.com.